In the spirit of the Thanksgiving holiday later this month, we turned November into a month of Save The Crew thanks. Last week, we kicked off the month by giving thanks to Mayor Andrew Ginther and the Columbus City Council. We encourage everyone to send their own Thank-You’s to the city officials that had our back from day one. Call, email, or send letters letting them know how much you appreciate the committed support. Two Columbus Crew players received MLS accolades in 2018, while a former player is being recognized for his own amazing achievements. The Crew and USMNT’s breakout shot stopper was awarded the 2018 MLS Goalkeeper of the Year. With heroic reflexes and on-the-field leadership, Zack anchored the defense with 10 clean sheets during the season. Zack capped an amazing year with a stunning penalty kick victory over D.C. United. This is the first Goalkeeper of the Year award for the 23 year old. Congrats, Zack! The Crew striker had an amazing 1st season with the club after arriving from the LA Galaxy. Gyasi led the Crew by scoring a career high 19 goals. His performance on the field earned him the 2018 Comeback Player of the Year! Gregg Berhalter praised Zardes’ efforts by saying “Since his first day joining the team in preseason, Gyasi has been committed to learning our system, embracing our culture and representing our club in the community. Gyasi’s work ethic and openness to improve is a great example for younger players and we are very happy for his well-earned success this season.” Gyasi found a home in Columbus so let’s hope for even more goals in 2019. Congratulations, Gyasi! The Hilliard native and former Crew Goalkeeper who is currently with Minnesota United was named the MLS Works Humanitarian of the Year. During the 2012 season in Columbus, Matt was diagnosed with Hodgkin’s Lymphoma. The keeper beat the disease, and in 2013 started the LampStrong Foundation to raise awareness on the disease. Thank you Matt for your continued strength and courage, as well as being a beacon of hope for those afflicted with Hodgkin’s Lymphoma. Congrats, Matt! You’ll always be Massive in Columbus! Our City’s Women’s Premier Soccer League team is selling tickets for their 2019 season! 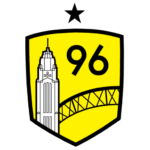 The Columbus Eagles FC have a great team, and are a major supporter of the Save The Crew movement. Show the Eagles how Massive Columbus is, and sign up for season tickets! 0-3 and 1-3 on aggregate. Our hats are off to all of the fans who travelled to Harrison for the match. Thanks to all of the Save The Crew business allies who hosted watch parties during the playoffs. The fans loved it. We look forward to many more opportunities like this in 2019. Thank you, Endeavor Brewing Co., Fourth Street Bar & Grill, Hendoc’s Pub, Land Grant Brewery, Porch Growler, and Ruby Tuesday.